It seem like everything has that “circle c” claiming a copyright. But how do you get it and what does it do? 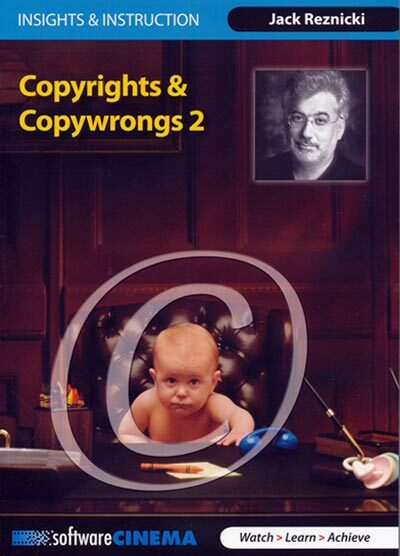 Software Cinema just released “Copyrights & Copywrongs 2” by Jack Reznicki which explains the basics, the application process and protections granted. In 2008, The US Copyright Office launched the Electronic Copyright Office (eCO) to allow copyright registration electronically through the Web. An eCO registration is only $35 for all images registered together as a “collection”. Just follow the link for eCO at www.copyright.gov (official US Copyright Office). Jack walks you through the entire process to login and register a new claim (“work of visual arts”) with one title for the collection (group) being registered. It only takes about 15–minutes to fill-out the online forms and Jack makes it straightforward. (Once you do complete a claim, you can even save it as a template for future filings.) Just add the registration to your cart, checkout and then “Upload Deposit” to FTP images. The images can be Zipped and organized through folders and you can upload multiple Zip files in the same claim; however, each upload has a maximum time limit of 30–minutes. A copyright exists from the moment of creation; however, it must be registered to be protected. HI-RES images are not necessary. The image must be large enough to clearly identify it in court. include individual elements as well as the final composite. www.copyrightdefense.com: created by the PPA to provide photographers and artists with copyright information. In 80–minutes, Jack Reznicki makes this complicated topic easy enough for a novice to file a copyright claim through the eCO. My only complaint is that the video does not have bookmarks. Such bookmarks would make this video a great quick reference, especially if you go a few months between filings.